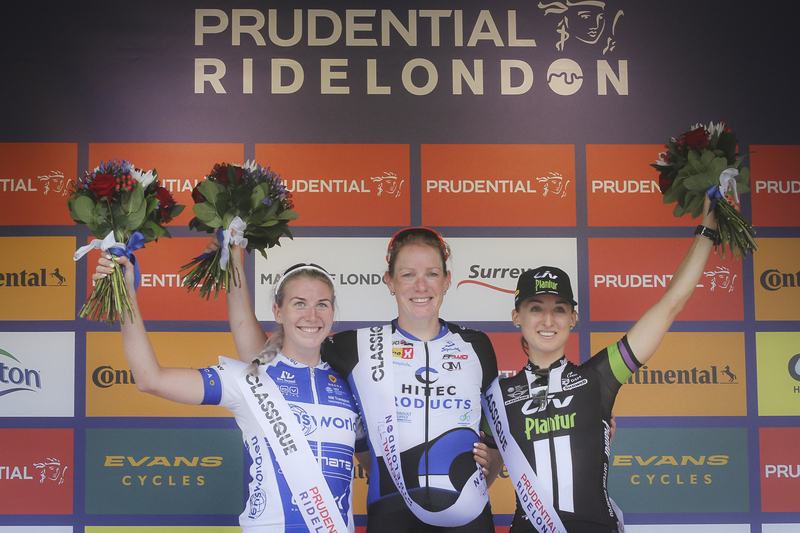 Saturday we raced the Prudential RideLondon Classique, a one day Womens Worldtour event. The circuit race was held in central London with a 5.5km loop going past Buckingham Palace, Trafalgar Square, Big Ben and with start & finish on the Mall along St James’s Park. London knows how to put together a good race for the riders closing big roads, taking precautions to make it a safe event and engaging people to come out and watch. The spectators were great and made racing on these iconic roads an even bigger experience. Not many places can compete with the atmosphere found in London this Saturday. To add to it all, the price money were equal to the men’s price money and record high. And, it was broadcast live on tv! After a neutral lap the riders started their show. With strong sprinters such as our Kirsten Wild, many teams wanted to form breakaways to avoid the sprint. Also with big price money for the intermediate sprints and team competition some riders had different agendas. This all made it a really fast and busy race. In the end the high speed also made it difficult for breakaways to succeed as the peloton never settled. After endless attempts from other teams to get away it came down to the predicted sprint. Going in to the final Kirsten thought she was too far back. But as other riders started to slow down, Kirsten, who is on great form, was able to pass them to get into a good position. 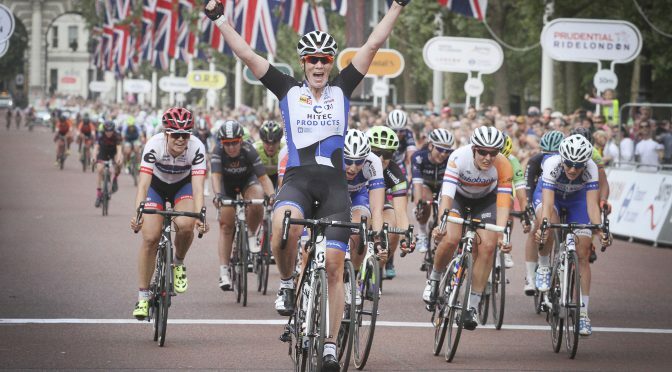 In the final sprint no one could do more than hang on to her wheel for podiums as Kirsten crossed the line celebrating the victory. A great event ending in great success for our team. Our team: Julie Leth, Tone Hatteland Lima, Janicke Gunvaldsen, Emilie Moberg, Thea Thorsen and Kirsten Wild.